What is a Face Lift? Dr Lanzer World Class Surgeon explains. What Is A Mini Facelift And How Much Does It Cost? Face Lift implies a lifting and elevation of the facial skin. In fact, with aging and sun damage and excessive facial movement, the face tissue moves downwards and often forwards. The reason that the tissues actually become lax, is not just the skin and epidermis, but also the collagen and the fat. The reason for the drooping and sagging of the skin relates firstly to loss of underlying supportive structures such as changes in the actual bone shape of the face and weakening and thinning of the muscle, fat, and collagen layers of the skin. With the underlying structure disappearing, the skin starts to sag. Scientists and cosmetic surgeons who have studied and analysed the face, have now found that there are very important ligament structures in the face that hold certain areas of the facial skin to the underlying structure. It is almost like a boat floating in the water with an anchor. Sometimes the anchor is deeply bound to the ground and sometimes the anchor is just floating in the water. One area where this type of ligament attachment is seen is between the jowls and the corner of the mouth. Because of the sagging of the skin, this is often the area where one notices the excess drooping skin. It is almost like a tablecloth that is too big for the table so the excessive tablecloth bunches and hangs at the area where it is bound down. This ligament tendon which can also extend up to the nose is where one often sees the sagging of the skin. People often enquire, “What is a facelift?” The answer is that there are many types of facelifts. The least invasive form of facelift is what is called a liquid facelift. This involves injection hyaluronic acid solutions into very specific areas on the face. Only over the last few years have cosmetic and dermatologist surgeons become aware that actually restoring volume under the skin causes a lifting. Early on, we would often inject the nasolabial fold, the fold between the cheeks and the lip, so soften that angle. We now realise that the best way to soften that angle is to restore volume in the cheek itself. Fillers can be used in many places on the face. One approach is an 8-point injection liquid face lift. This involves putting fillers along the cheek below the eyes, on the edge of the cheek and the eyes, around the temple and brow region, across the angle of the jaw, along the line between the cheek and the chin, and in the chin. It may be used also in conjunction with muscle relaxants. 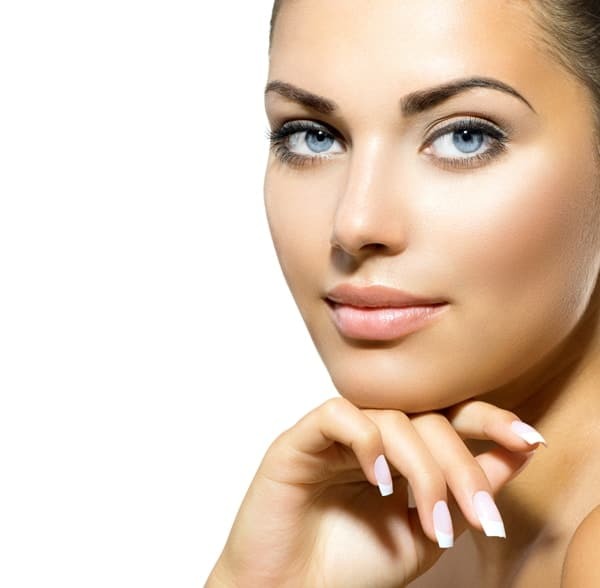 It is always advisable to consider facial tightening as well as there is a certain amount of face lifting that occurs with just rejuvenation of the skin layer. The ultimate way to tighten the skin layer is with laser resurfacing. Discover Mini Face Lift Advantages! An increasingly large amount of patients now opt for Mini Face Lift procedures. It is important for you to thoroughly discuss with us your expectations so that we can ensure we deliver your desired outcome. Our dedicated staff are here to support you every step of the way, so please take advantage of their knowledge and support. If you’re looking to remove fat from the face, get a free consultation at Melbourne Mini Face Lift clinic with Dr Lanzer. The second form of facelift is with devices that stimulate and cause contraction deep under the skin at the dermal and muscle layer. The device that has been used most frequently, and which Dr. Lanzer uses, is the Ulthera. This is an ultrasound wavelength that focuses to a point, about 4 or 5 mm under the skin. The treatment takes about an hour and there is very little down-time. Sometimes, there is pain or tenderness during treatment and anesthetics need to be given. The results are variable and may need to be repeated after 12 months. Another form of facelift is skin suture lifting. This has been done with small stitches. Initially, threads called aphthous threads were used and also barbed corrugated threads. The approach that Dr. Lanzer has used for many years has been a looping type of thread that is attached to the ear cartilage. This lifts the skin in a similar way to a curtain lifting up the material upwards. The advantage of the suture lift is that there is no excision or cutting away of skin and therefore no scars on the front of the face. There are 2 small nicks behind the ear. The disadvantage is that there is some wrinkling or folding right in front of the ear and it is hard to predict how long the suture lift will last. Sometimes, the results can be between 5 and 10 years. Other times, if patients have a strong smile, the results do not last so long. Surgical face lifting can be performed through a mini facelift, often called an S-Lift or a short scar lift, or through a deep plane face lift. Dr. Lanzer reports that during this year, mini facelifts have become one of the most common procedures he performs. It may be performed in conjunction with liposculpture of the jowls and neck or with a neck lift. The skin is lifted through the tumescent liposuction method, unwanted fat is removed, the muscles are tightened with sutures, and the excessive skin is removed through an incision that sits right around the fold and crease of the ears. The goal of a facelift in the hands of most surgeons is to give a natural result which makes the patient look they appeared, say, 10-15 years earlier. Most patients do not want that pulled or startled appearance and it is up to the skill of the surgeon and the explanation to the patient to make sure that the patient understands exactly what they are obtaining.